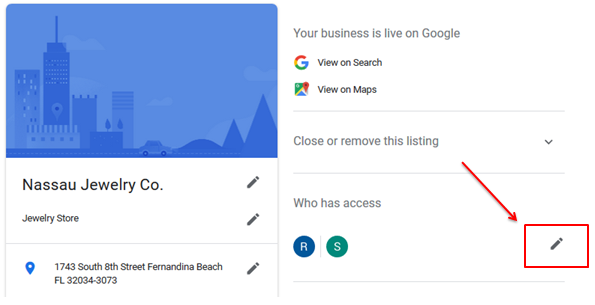 You may or may not have received an email from Google where Web.com requests access to your Google My Business listing. The standard email notifies you that Web.com requests access to your business listing. Reply to the email asking Google for assistance in adding a manager. Follow the link within the email for instructions on how to add a manager. Add a manager at a later time by following the manual process. This email contains a menu wizard that guides you through the process of adding Web.com as a manager. To get started, just click the Review Request button. 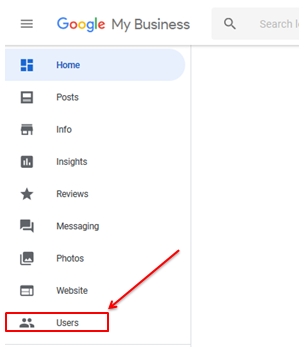 If you did not receive an email from Google, then you can manually add Web.com as manager for your Google My Business Listing. 1. Click here to sign in to Google My Business home page. If you only have one listing in your dashboard, you will automatically be brought to the landing page for that listing. In this case, please skip to step 3. If you have multiple listings in your dashboard, then continue to step 2. 2. Open the listing you want to add a user to by clicking on the business name or selecting Manage Location within the search results. If your dashboard is in classic view, select the appropriate business name or Manage Location. 3. Based on the page layout, either click the Users from the menu to the left or select the within the Who has access section. If you see the below menu after selecting the business listing, select Users . If you see the below page, select the icon within the Who has access section. 4. In the top right corner of the Manage permissions panel that appears, click the Invite new users icon. Select the Local Business Listings Location Group option when it appears. 6. From the drop-down list, select the Manager role. Do you have a general question about your Local Business Listings service? Please contact Customer Support at 1-800-311-2707 Monday through Friday, 8:00 AM-8:00 PM ET. 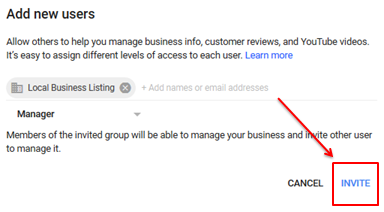 Google My Business Listings—FAQs and Troubleshooting Web.com—How Can I Co-Manage My Listing?